Mangaluru, May 16, 2018: A victory procession taken out by BJP workers at Adyarpadavu on May 15, Tuesday evening resulted in tension when some unidentified persons reportedly belonging to one particular community hurled stones at the BJP workers. 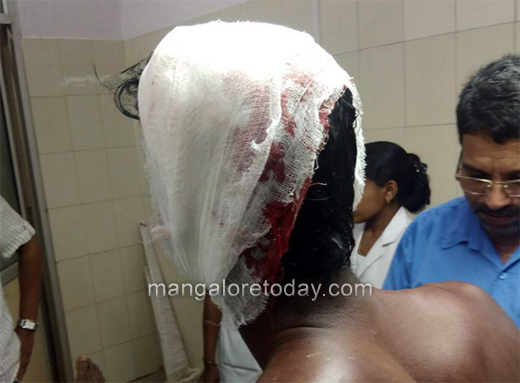 A person named Ashok was also beaten up by some miscreants. He has been hospitalised. Meanwhile, a few locals alleged that it were those who were participating in the procession who stoned a local mosque resulting in retaliation. Stones were also hurled at the Shree Ramanjaneya Vyayama Shale. A bike was also damaged. Security has been stepped up in the area following the incident.